Start be removing the push button switch from the LED bar harness. Now connect the extension connector included with your tri-switch in its place. Connect the white from your LED bar harness to the exposed red from the switch. Connect the black from your LED bar harness to the exposed black from the switch. Now connect the blue to the terminal directly to the rear of the switch you would like to use. 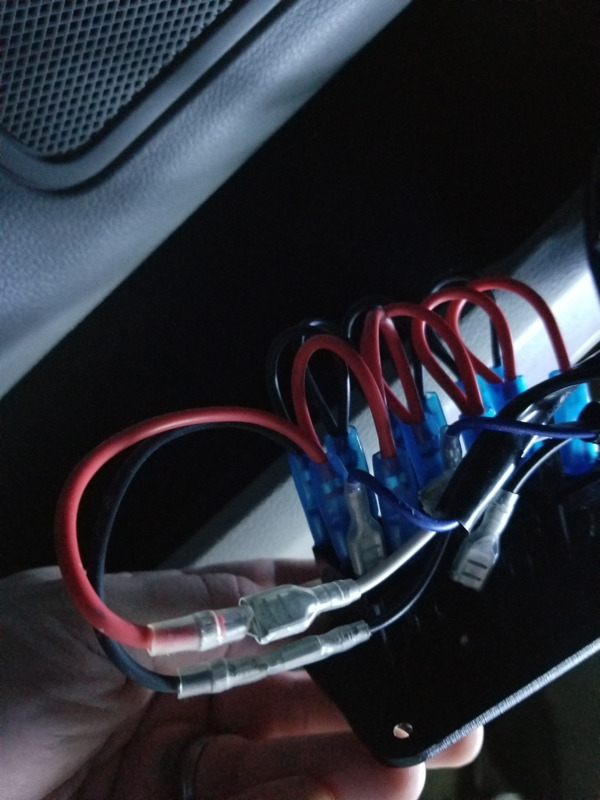 Connecting any additional LED harness kits requires you only to connect the blue to the rear of the switch you would like to use. There will only be one red and black connector for your first harness. Each switch then will have a single blue connection at its rear.